Pentahydrite: Mineral information, data and localities. In allusion to its chemical composition having five (PENTA-) molecules of water (HYDR-) in its formula. kellerite A cuprian variety of pentahydrite. Jôkokuite MnSO4 · 5H2O Tric. Siderotil FeSO4 · 5H2O Tric. 29.6.7.2 Siderotil FeSO4 · 5H2O Tric. 29.6.7.4 Jôkokuite MnSO4 · 5H2O Tric. Hobbs (1905) American Geologist, Minneapolis (1888-1905): 36: 184 (as Epsomite). Keller (1908) Proceedings of the American Philosophical Society: 47: 81 (as Double Sulphate of Copper and Magnesium). Allen and Day (1927) Carnegie Institute Washington Publication: 378: 42. Milton and Johnston (1938) Economic Geology 33: 749. Palache, C., Berman, H., & Frondel, C. (1951) The System of Mineralogy of James Dwight Dana and Edward Salisbury Dana, Yale University 1837-1892, Volume II. John Wiley and Sons, Inc., New York, 7th edition, revised and enlarged, 1124 pp. : 492. 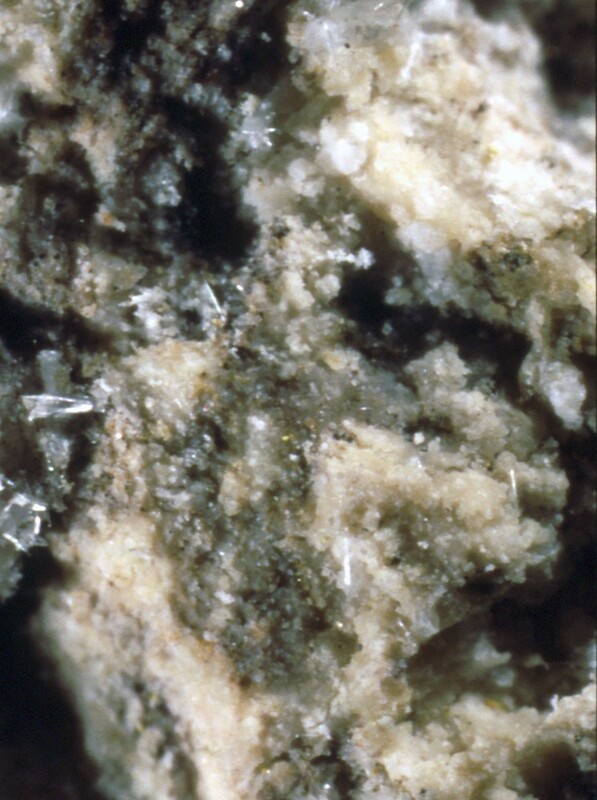 American Mineralogist (1951) 36: 641. 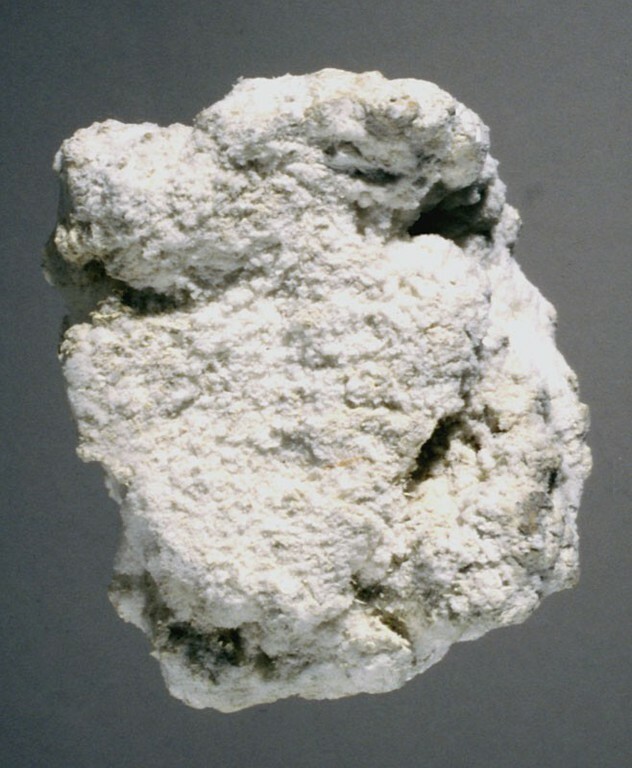 Peterson, R.C., Hammarstrom, J.M., Seal, R.R., II (2006): Alpersite (Mg,Cu)SO4•7H2O, a new mineral of the melanterite group, and cuprian pentahydrite: their occurrence within mine waste. American Mineralogist 91, 261-269. Bengochea, L. y Mas, G. (1998), Aparición de jarlita y sulfatos secundarios en el Valle del Cura, Argentina. Boletín de la Sociedad Española de Mineralogía, 21-A. Resúmenes de comunicaciones del Congreso de Mineralogía y Petrología, SEM 98 y 18° Reunión de la SEM, pág. 44-45. Last, W. M. (1990). Paleochemistry and paleohydrology of Ceylon Lake, a salt-dominated playa basin in the northern Great Plains, Canada. Journal of Paleolimnology, 4(3), 219-238. Balić-Žunić, T., Garavelli, A., Jakobsson, S. P., Jonasson, K., Katerinopoulos, A., Kyriakopoulos, K., & Acquafredda, P. (2016). 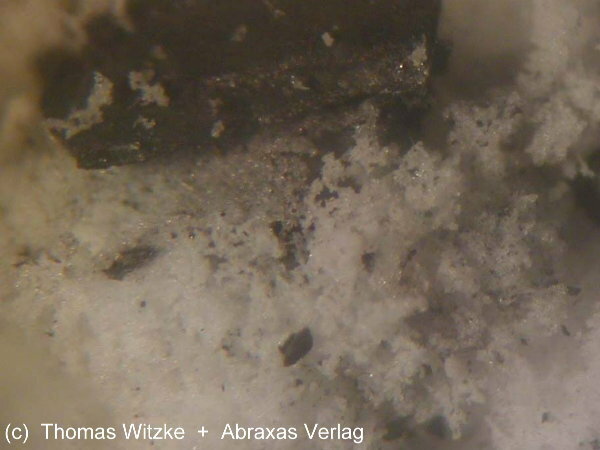 Fumarolic minerals: An overview of active European volcanoes. In Updates in Volcanology-From Volcano Modelling To Volcano Geology. InTechOpen. Sinha, R., & Smykatz-Kloss, W. (2003). Thermal characterization of lacustrine dolomites from the Sambhar Lake playa, Thar desert, India. Journal of thermal analysis and calorimetry, 71(3), 739-750. Von Bezing, L., Bode, R., and Jahn, S., (2008) Namibia Minerals and Localities. Edition Schloss Freudenstein, Bode Verlag GmbH, Haltern. 335 pp (in English). Diaby, N., Dold, B., Buselli, E., & Vicetti, R. (2006). EFFECTS ON ELEMENT MOBILITY BY THE CONSTRUCTION OF A WETLAND ON THE MARINE SHORE PORPHYRY COPPER TAILINGS DEPOSIT, BAHÍA DE ITE, PERU. In 7th International Conference on Acid Rock Drainage (ICARD), March (pp. 26-30). Smykatz-Kloss, W., & Roy, P. D. (2010). Mineralogía de evaporitas y geoquímica de elementos mayores como herramientas para la investigación paleoclimática en regiones áridas: una síntesis. Boletín de la Sociedad Geológica Mexicana, 62(3), 379-390. Quick, T.J., R.G. Corbett, and B.M. Manner (1989) Efflorescent minerals occurring in the gorge of the Grand Canyon, Abstract with Programs, Geological Society of America: 21(4): 44-45; Grant, Raymond W., Bideaux, R.A., and Williams, S.A. (2006) Minerals Added to the Arizona List 1995-2005: 7. Allen, Eugene T. & Arthur L. Day (1927), Steam wells and other thermal activity at “The Geysers,” California: Carnegie Institute Washington Publication 378: 39, 45; Vonsen, Magnus (1941) Preliminary report on minerals of The Geysers of Sonoma County, California. Mineralogist: 9: 246, 247; Vonsen, Magnus (1946), Minerals at “The Geysers,” Sonoma County, California: California Division Mines Report 42: 290; 87-293; Palache, C., Berman, H., & Frondel, C. (1951), The System of Mineralogy of James Dwight Dana and Edward Salisbury Dana, Yale University 1837-1892, Volume II: 492. Palache, C., Berman, H., & Frondel, C. (1951), The System of Mineralogy of James Dwight Dana and Edward Salisbury Dana, Yale University 1837-1892, Volume II: 492. Palache, C., Berman, H., & Frondel, C. (1951), The System of Mineralogy of James Dwight Dana and Edward Salisbury Dana, Yale University 1837-1892, Volume II: 492; Rocks & Minerals: 74(6): 380-390.